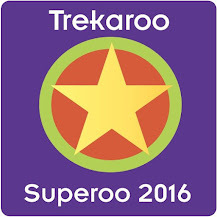 A Little Time and a Keyboard: Choo! Choo! All Aboard the Wilmington Railroad Museum! Choo! Choo! 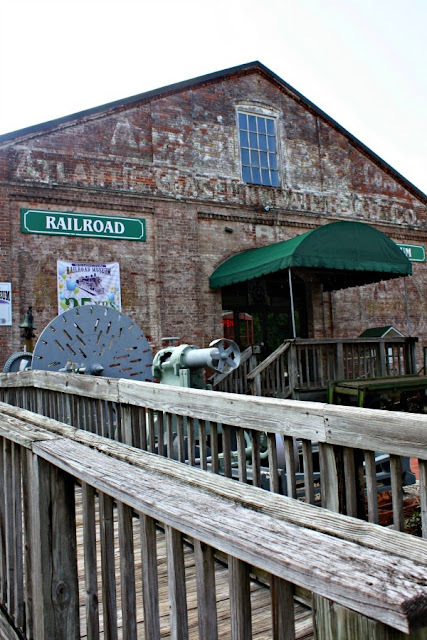 All Aboard the Wilmington Railroad Museum! **Disclosure: Thank you to Wilmington for hosting our visit. No compensation was received for this post. All opinions are 100% our own. 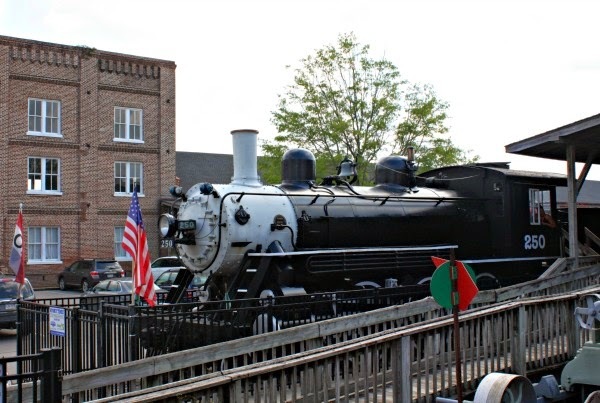 Any train lover will definitely be in heaven at the Wilmington Railroad Museum! 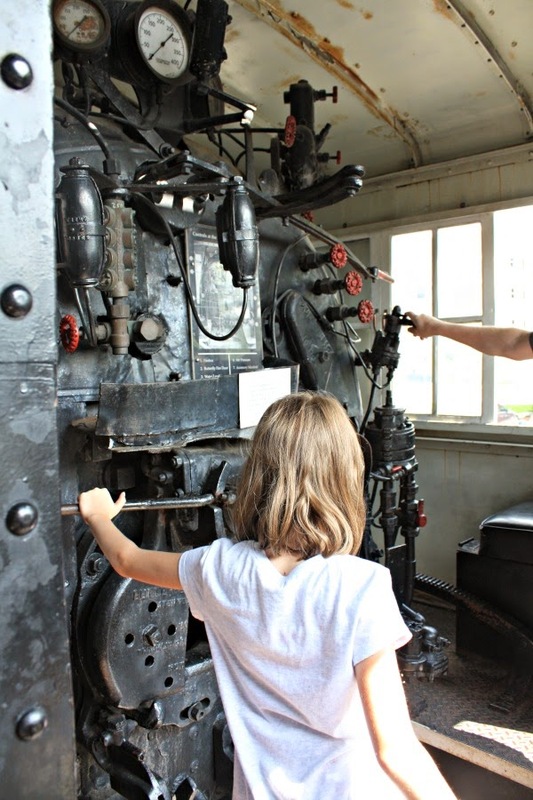 Even those not so enamored with transportation will find the museum quite interesting and will enjoy a chance to climb into a train engine and observe an entire mini society complete with trains, trolleys and even a hot air balloon! 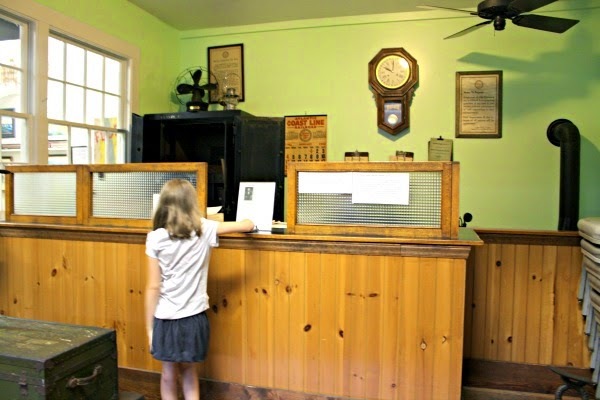 The Wilmington Railroad Museum provides for a lovely family aside and has something that will appeal to all ages. Outside of the museum, we found an engine, box car and caboose ready for exploring. How often do you have the chance? 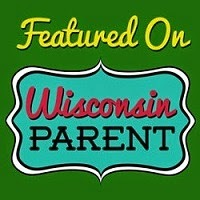 The museum is not overly huge, so even the youngest members of your family will have fun without being too overwhelmed. There are many displays of railroad history, memorabilia and artifacts. Everything is presented in a way that you can take a quick peek or have a more in depth look depending on your preferences. 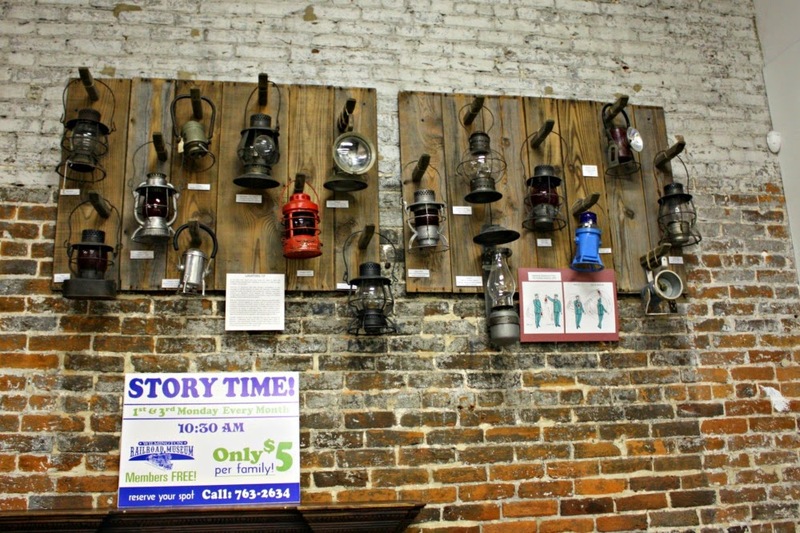 One of my personal favorite displays happened to be the train lantern collection. My grandfather worked for the railroad and was an avid lantern collector himself. So, I loved having this personal connection! The display is simple but it really shows why people love lanterns. Aren't they neat? 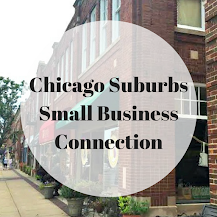 We were amazed by how well the museum was able to use their space. From the outside of the building, I would never have been able to tell that the museum included its own little model train station inside. Need a ticket or to check a train schedule? The most intriguing portion of the museum is the model railroad hall. The museum's largest display is a mini-reconstruction of an entire little society. Just when you think you have seen everything, you soon discover a new detail. You will want to take your time going through this exhibit. As we went through, we each were delighted by the intricate representation of so many scenes that we take for granted in really life. You truly appreciate it in this form! 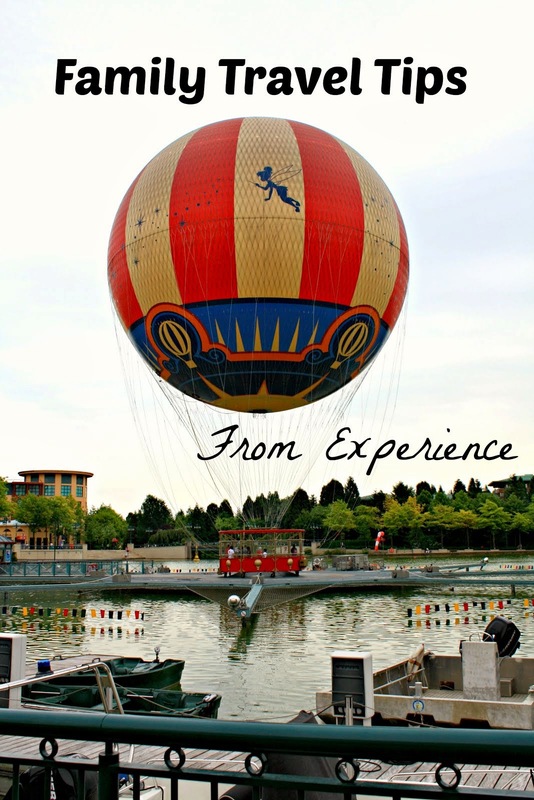 Plus, you can try your hand at running some of the trains and even fire up the hot air balloon through button controls. Too fun! 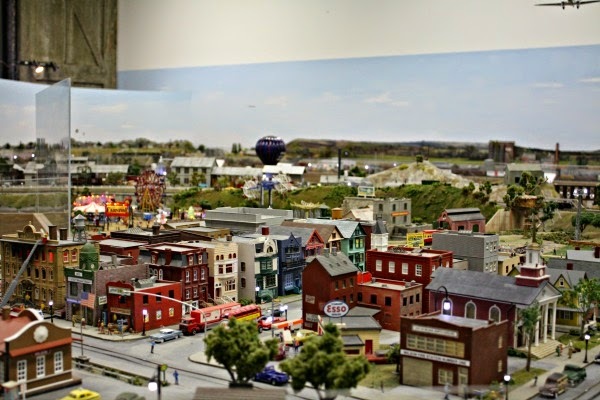 The Wilmington Railroad Museum is the home of the World's Longest Model Train in the Guinness Book of World Records. There is a small children's activity area where they can get hands on. The area is especially intriguing to younger children. 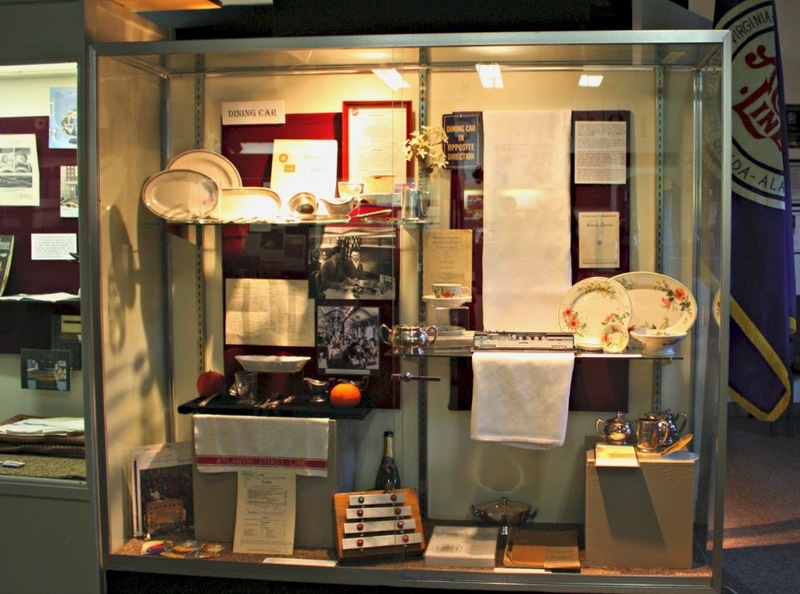 The museum is footsteps from the shops, dining and art galleries of the Cotton Exchange, so be sure to stop there too. You can explore the museum at a comfortable pace. While the exhibits do provide fascinating detail, the museum is not of the size that it would take you half of a day to explore. Be ready to climb into the engine, boxcar and caboose--you just have to, it is cool! Train fans can rejoice some more--the museum has a wonderful gift shop full of train related items. With so much stress in life, it is refreshing to find places that still tap into that childhood sense of wonder. The Wilmington Railroad Museum really tapped into that sense of childhood wonderment that we all have whether 7 or 72. The model railroad especially tapped into our particular sense of wonder. Truly an amazing display! 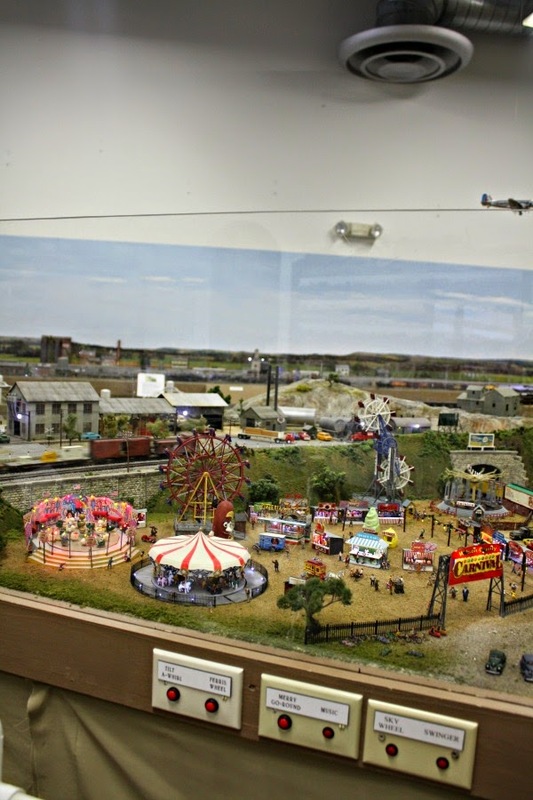 Thank you for your review of our railroad museum and especially the model train exhibit. We have worked very hard to recreate history and add interesting details. Our modelers have spent over 46,000 hours building and maintaining these models and it is gratifying to receive such kind words of appreciation.